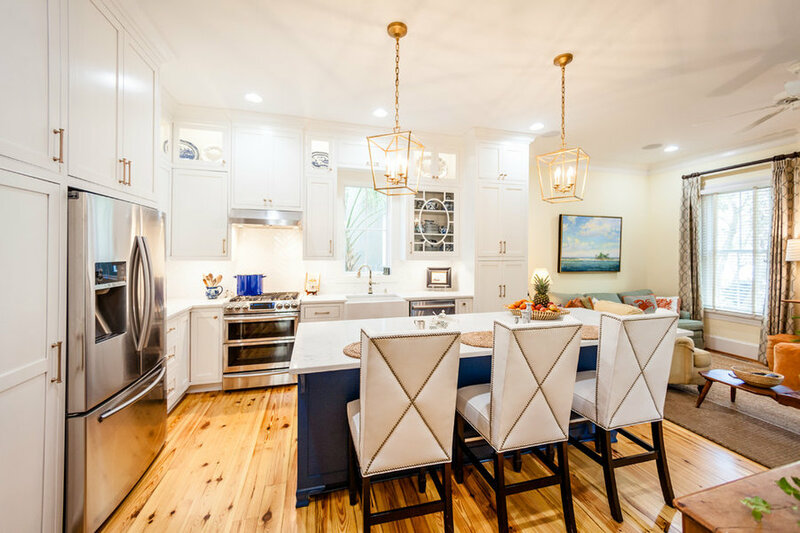 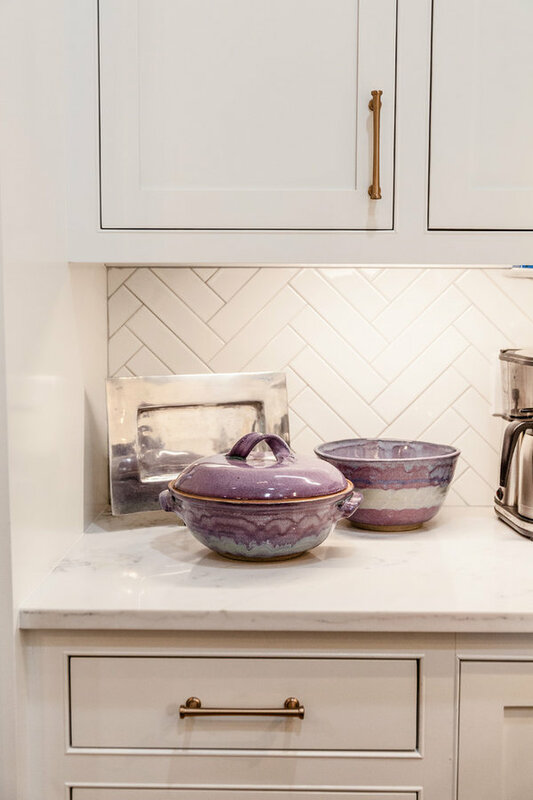 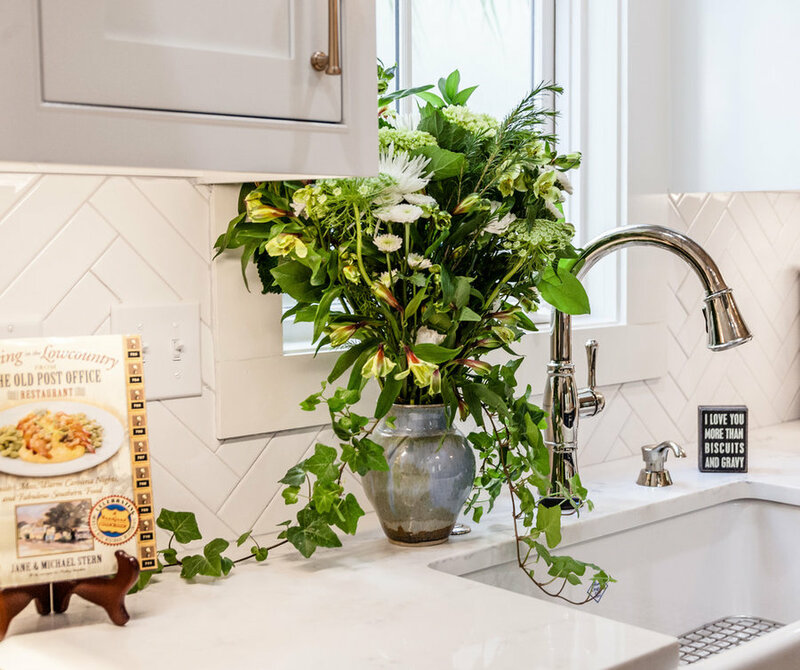 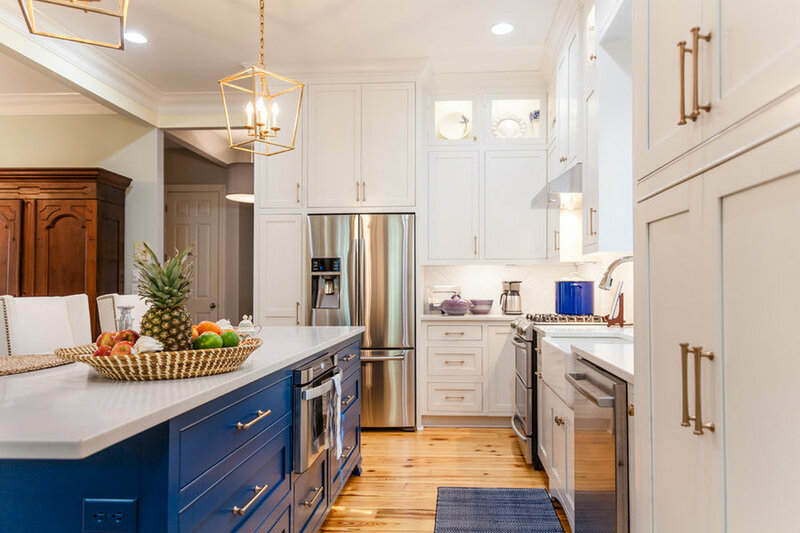 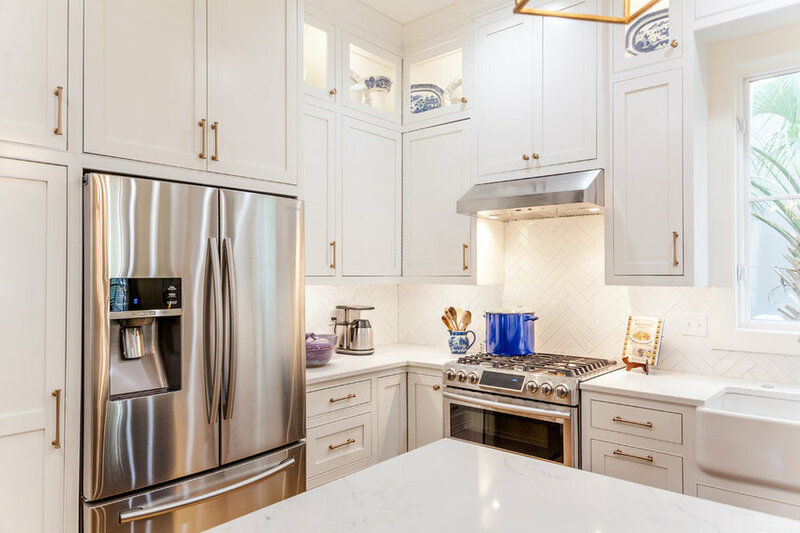 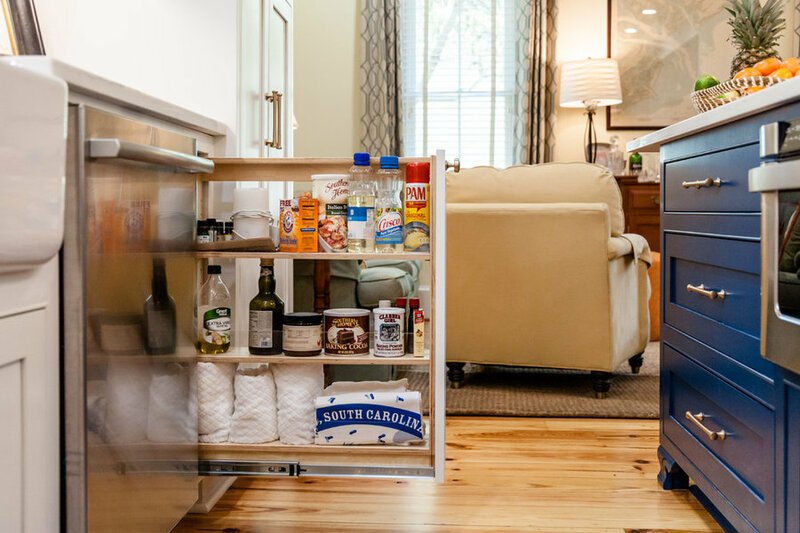 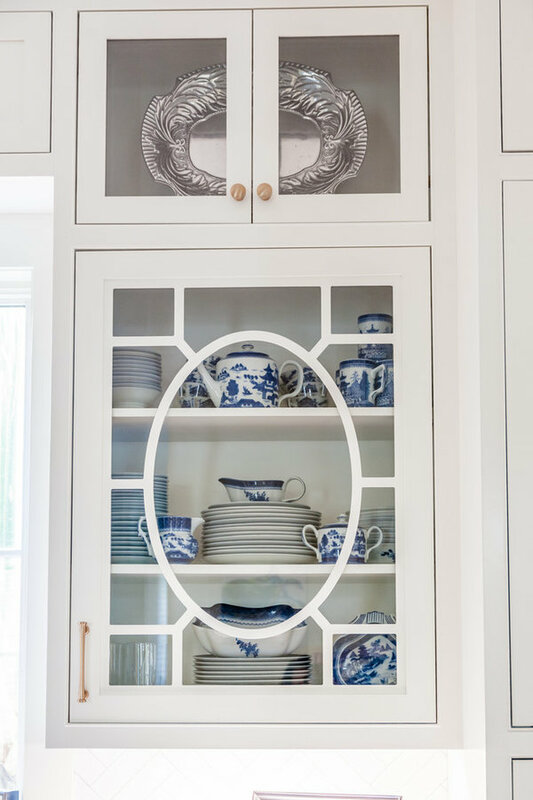 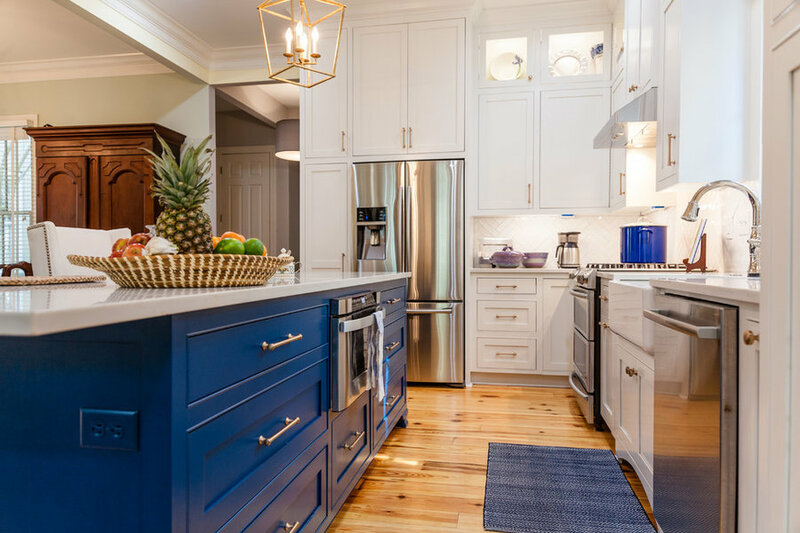 A renovation to enhance the lives of the busy family was completed for this kitchen in coastal South Carolina. 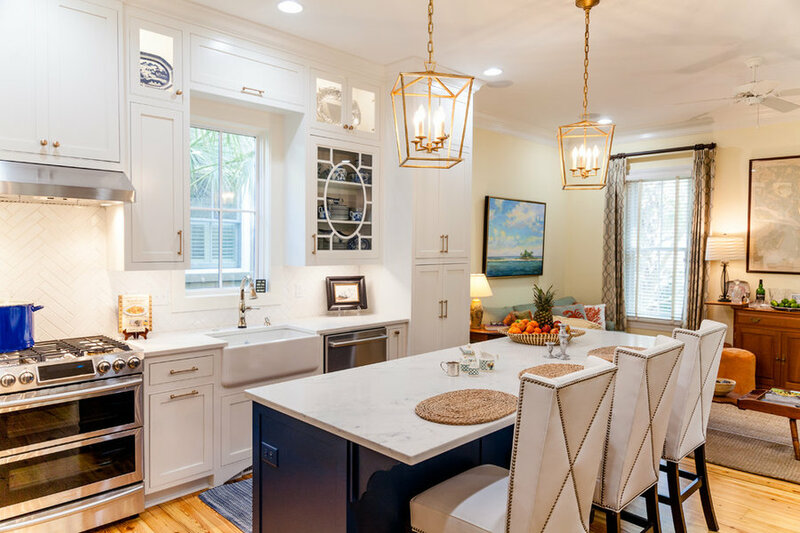 Removing a wall to expand the kitchen allowed room for a generous island and created an open concept home. 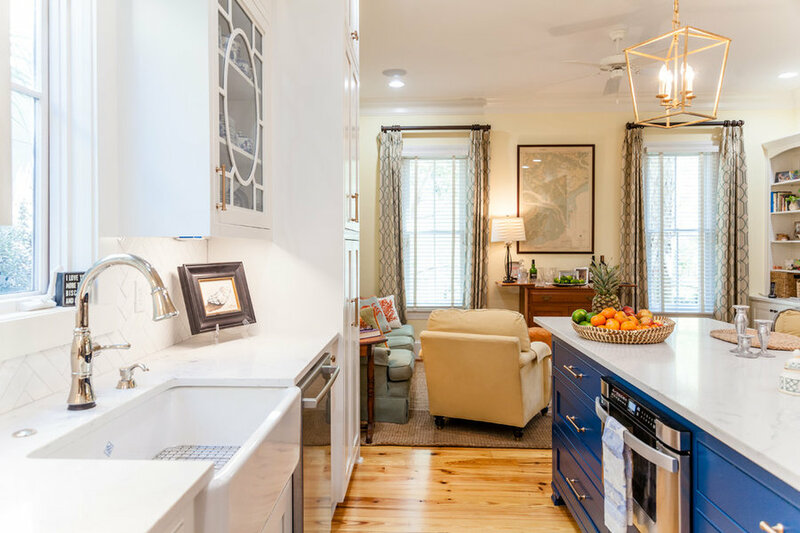 With room for three busy kids, Mom and Dad hope this can be their "forever" home. 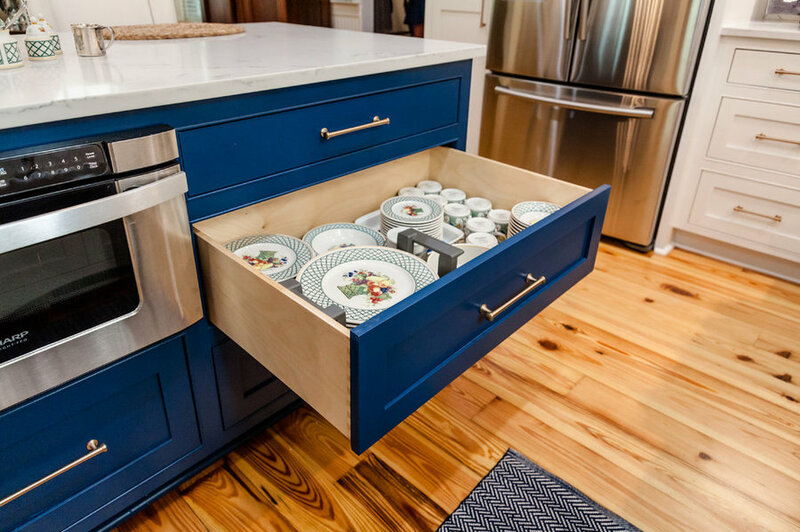 A generous island allows overflow seating in a fun color. 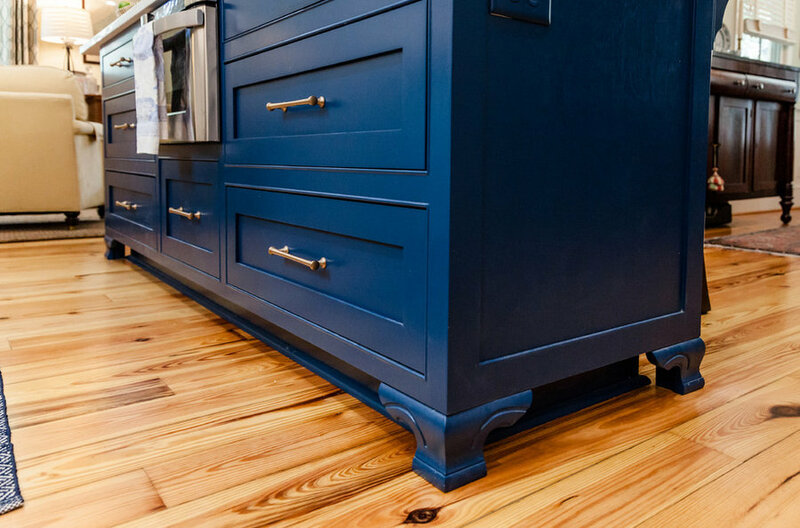 A Nautical Blue island with fancy feet! 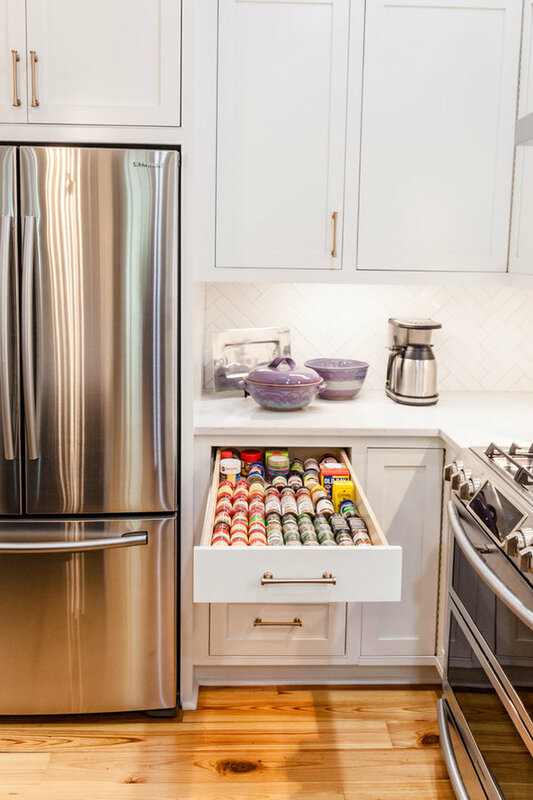 Super Spice storage... this drawer holds dozens of bottles. 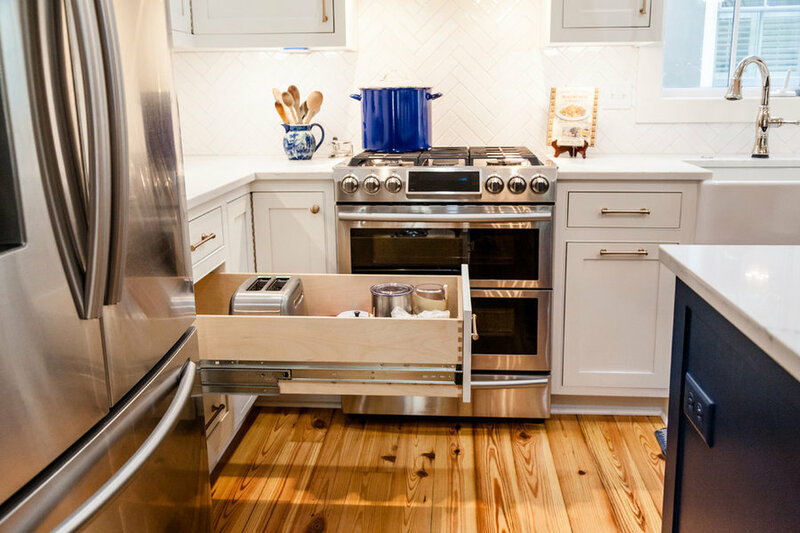 The microwave drawer is conveniently located in the island. 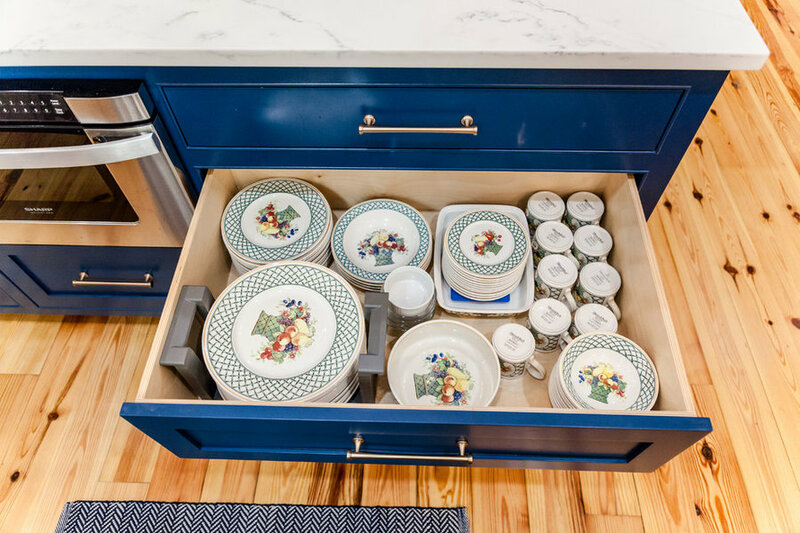 The storage rack encourages organization and easy table setting.